Harley Davidson motorcycles are a dream come true for most men of almost any age. This brand has created such a powerful image due to its quality, reliability, and perfect design. 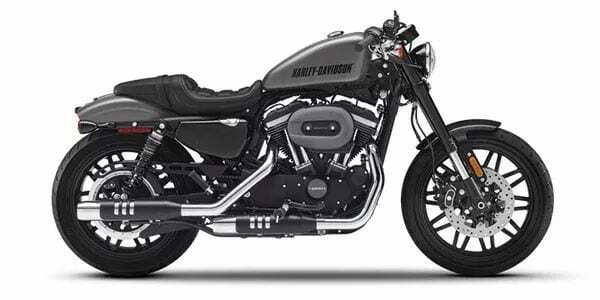 However, new models of this brand cost an arm, and a leg for some people, and far from every admirer of Harley Davidson is ready to pay this money. Therefore, it is much better to consider buying a used one. Perhaps this does not sound that cool, but the motorcycles of this brand, in fact, look and perform as new even after 10 years of exploitation. So look for a used Harley, choose a model that will suit you best, and pay reasonable money. Just make sure the deal is legal – order Harley-Davidson VIN check and make a test drive. In reality, purchasing a used motorcycle has more benefits than drawbacks, especially when we talk about such a reliable brand. The very first benefit you get when purchasing a used Harley Davidson is that you are now going to drive a Harley and not something else. The design and construction of these bikes are created to last for many years, and even if the model is not that recent, it will always be in fashion. In fact, older models are even more in demand, because they are rarer. There is no such thing as the old-fashioned bike in terms of design, it is possible only in terms of functioning, but this does not include the Harley Davidson brand. The next benefit after the design is a lower price for a better bike. Let’s be honest, an old Harley in most cases drives better than any new Chinese or Korean bolt bucket. So you pay less for a better motorcycle. Isn’t that cool? In case you buy directly from the previous owner, and the owner is adequate, you will be able to get an additional instruction for this particular motorcycle. Knowing how to drive is fine, knowing the features of a particular model is fine, but the previous owner can give you detailed instruction on what this very machine does in every situation, and what you should take into consideration when driving in the rain, for example. This is priceless if you think about it. So, as you see, purchasing a used Harley Davidson is actually a sound decision. You will get a bunch of advantages with it and will enjoy your driving for years. Just make sure you check the bike before buying it, see if it is being sold legally, and has no loans or accidents associated with it. Check the VIN data, and hire a technician to test the performance in case you have any doubts. One of the things that might be challenging when buying a used bike is that it might not be an ideal combination with the design of accessories you already have. For that reason, you should definitely consider buying some new jewelry and biker gear that will ideally go with your machine.